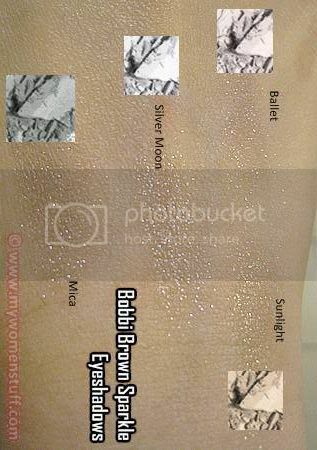 Tipped off by Beetrice I toddled off to investigate the new Bobbi Brown Sparkle Eyeshadows. The picture looked so pretty especially Mica described as Deep Heather Grey Glitter. Glitter didn’t sound so good, but deep grey did. On the back of my hand it was just glitter, glitter, glitter and glitter! While I never paid much attention to Givenchy, I used to look at lot at Estee Lauder – the skincare. The makeup bored me because I felt they looked too “old”. Ah! 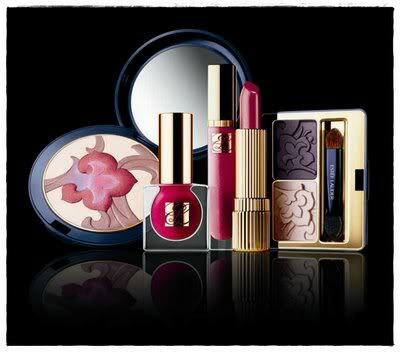 But then I age and Estee Lauder doesn’t 😛 And suddenly, with the new Fuschia Now Spring 2009 collection, Estee Lauder looks interesting again! I blame Karen (in a nice way of course) for making me look twice at Estee Lauder’s Spring 2009 collection. I don’t usually wear pinks and purples on the eyes for fear of looking abused, but the new Estee Lauder eyeshadows are really quite something and now, I suddenly want to check them out. Givenchy is one of those big brands that I always overlook. I find their stuff pretty but never really pretty enough to like. Not this time! For Spring 2009, Givenchy is going for sensual dusky pink and orange for eyes, lips and cheeks with an Indian Sari inspired collection. I like the look on the model. Anyway, I purchased a travel set of Mukti’s skincare from Bodybar Natural Skincare to test to see if I liked them enough to switch over. The set consisted of a gentle facial cleanser, mist toner and a balancing cream. Having been using the Mukti skincare range exclusively at night for a month or so, I think I’m ready with my view on the products. I cannot vouch for their organic certification, but I can vouch for a little going a long way. I really like the Mukti Rosehip Eye gel (product not packaging) and I can safely say that a little goes a long way.